Here are a few of the best bbq recipes for desserts! If you’ve never made dessert on the barbecue it is a fun addition to any get together. 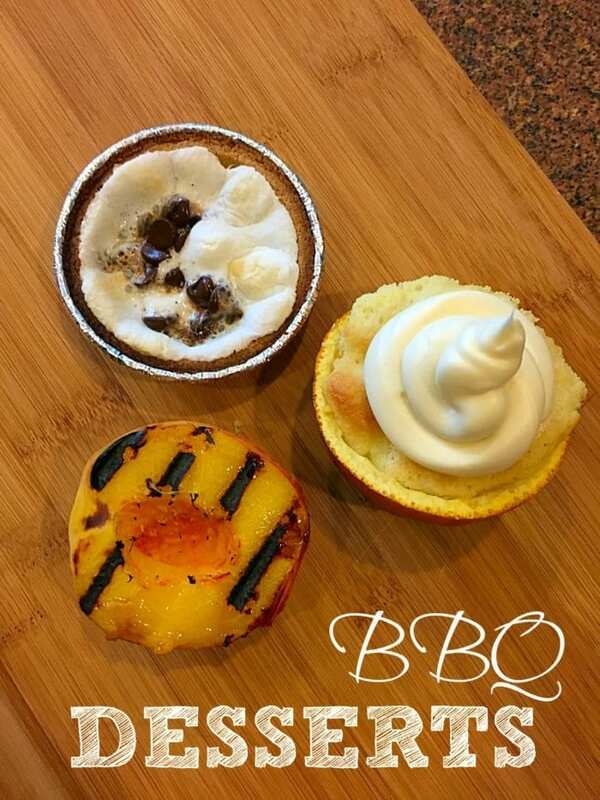 From s’mores pies to cupcakes and grilled peaches with honey you will find something you’ll love here like our favorite which is banana smores! Now we’re ready to grill!! We have a lot of easy Summer bbq recipes, but these 3 are our favorites! These are the best bbq recipes for desserts according to our family! 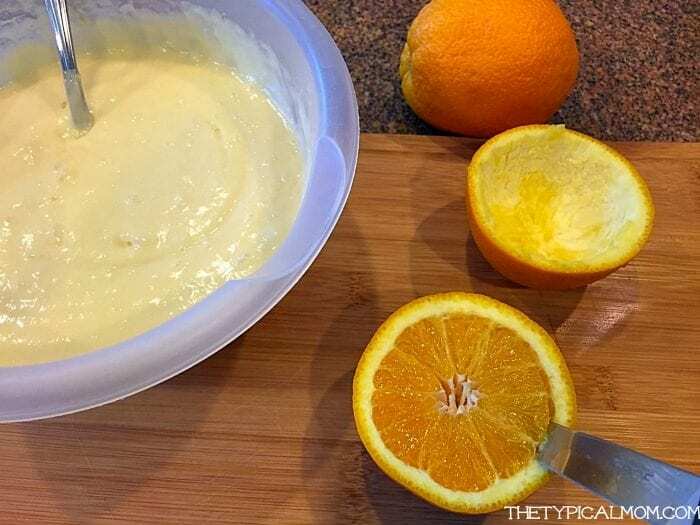 You will need a few oranges for this easy bbq recipe….those are easy to find! First, cut the oranges in half. Each person will get 1/2 so just count accordingly. Make a batch of vanilla cake mix as directed and set aside (I just use boxed cake mix, here’s a recipe for 6 cupcakes, but you can go all out and make homemade if you’d like). 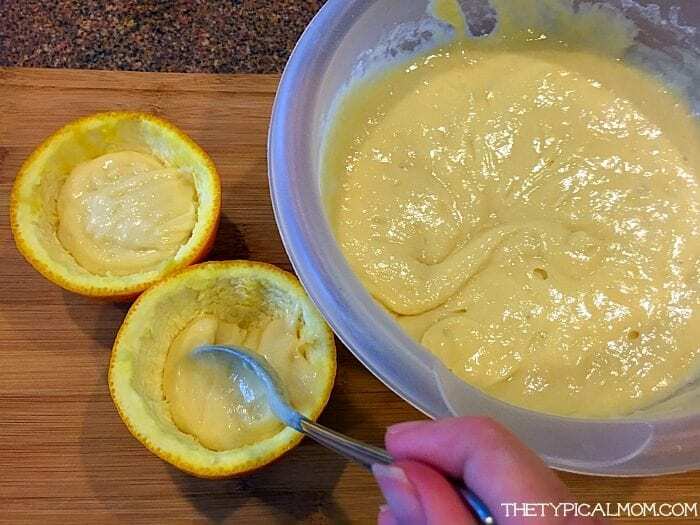 Use a sharp knife to cut around the edge and remove the inside of the orange (we put the fruit in a separate bowl and make fruit salad with that). You will be left with a scooped out orange rind like you see here, and you are ready for your next step. Scoop the vanilla cake mix into the orange rinds and ONLY fill half way….very important! When you are ready put them on the bbq, close the lid and cook for about 10 minutes. Check half way thru because of course each bbq and briquettes burn at different rates so just take a peek after about 5 minutes. Once they are light brown on top they are done and you can remove from the heat and eat immediately or let them cool down before serving. On to our next bbq dessert recipe. 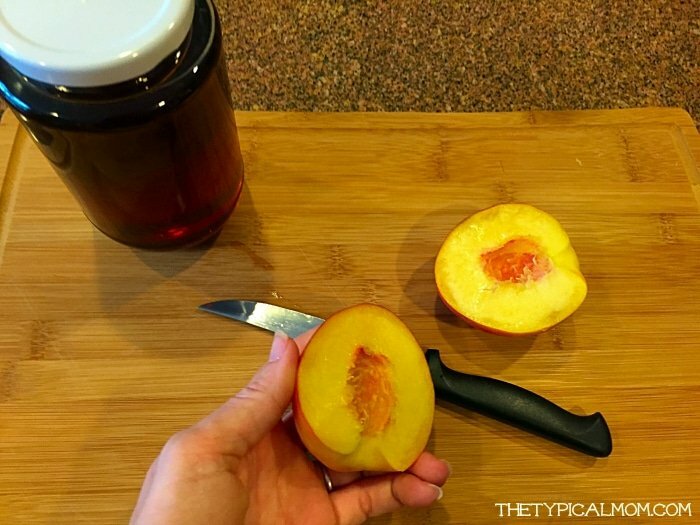 Buy some ripe peaches at the store that are still firm but just barely soft. Slice them, remove the pit, and when you’re ready just put them on the grill to warm them up. Once there are grill marks on the cut half of the peach they are ready. Put half in a bowl, or cut them into chunks, and top with ice cream and some honey. This is one of the best bbq recipes for dessert that everyone loves….and perfect for the Summer when fruit is in season. This is by far the most popular bbq recipe for desserts we’ve made. It’s a real HIT when you invite people over, and it gets a thumbs up by kids every time. It’s so easy to do! You can find these ready made graham cracker mini pie cups in the baking aisle of your local grocery store. They come in sets of 4. 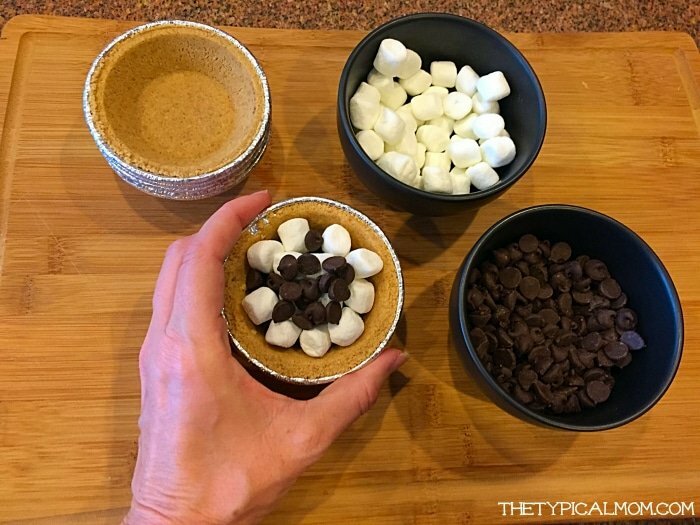 Just buy the amount you will need, everyone gets one for themselves, and fill with the other two important S’mores ingredients to create your S’mores Pies! These don’t take long at all on the grill. Just pop them on and take off once the marshmallows and chocolate chips have melted. If you are barbecuing outside just let them cool off and they pop out of the tins easily so you can eat it with your hands! If they’re still warm you can use a spoon and scoop out and eat your S’mores pies, but hands on is the way to go we think. Looking for more great barbecue dessert recipes? 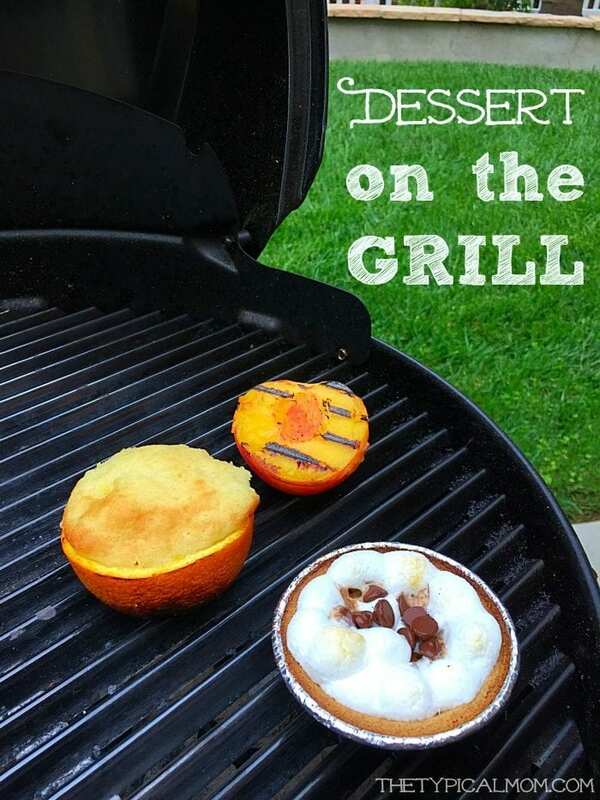 Wahhhlah….three different, easy, and the best bbq recipes for desserts for you! To top off the orange zest cupcakes I filled a baggie with frosting, cut the edge off, and let the kids swirl some on. I hope you incorporate a dessert into your next get together or party while you’re barbecuing some delicious meals. In the grilling mood? Head over to your nearest The Home Depot store to pick up your Kingsford Charcoal. Click here to find the store nearest you. What are some of your favorite bbq recipes? ?